glam idol, Shameca's healthy curls! Hair porosity is a key player in effectively moisturizing our hair. If you are on either end of the spectrum (low or high porosity) then you know how daunting it can seem to keep your hair moisturized. This is due to the outer layer aka cuticle of the hair. 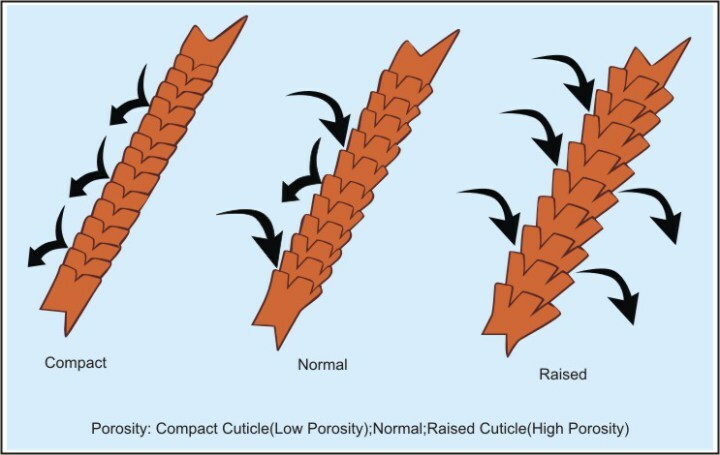 The way the cuticle of your hair lays and opens is the determining factor of your porosity. Hair has low porosity when the cuticle layer of the hair is tightly packed and flat. Think of it like singles on a roof. The cuticle, like shingles, are tightly nested together to protect the roof. Making it difficult for water to pass. This is the same reason people with low porosity have a hard time with their hair absorbing moisture. Knowing your porosity aids in bettering your selection and success rate when buying products. It helps aids in the creation of a simple regimen that is highly beneficial to your hair as well. -Is your hair always dry no matter how often you moisturize, deep condition or greenhouse it? -Do you notice water beading up on top of your strands? Note:If you answered 'Yes' to either of those questions I have some great tips that will make it much easier for you to achieve the moisturizing greatness you're looking for. Clarify your hair. Low porosity hair is prone to having product build up. Build up + shingle tight cuticles = sad dry hair. Use a clarifying shampoo to remove the build up and give your hair a fresh start. Deep condition with heat. It is important to open your cuticle a bit to deep condition your hair properly. By using heat you are assured that the cuticle layers will lift so the interior of your strands are moisturized. Use Indirect Heat. Apply deep conditioner to your hair, covering it with a cap (be sure it is made to withstand heat) and applying indirect heat via hooded dryer. Use Direct Heat. This is done by applying deep conditioner to your hair and using direct heat from a hair steamer. Note: Many find these two methods to work wonders. No matter which way you decide to go it is important to deep condition your hair. Once a week is fine for most. Be sure to do so at minimum biweekly to yield the best results. Use greenhouse/baggy method. The method is done to create a humid environment that forces your hair to absorb moisture. The process is pretty simple. Moisturize your hair as you normally would, cover it with a plastic cap and a beanie/snug fitting hat/hair turban/towel. You can leave your hair wrapped up overnight. You will notice, when you remove the outer layer, that the plastic cap has water droplets inside of it. The droplets form because of the heat rising from your head. Humectants are your friends. Things such as glycerin (veggie or animal), honey, agave nectar, coconut nectar, etc... gain moisture from the air and help to adhere it to your hair. Be sure the humectant you use is properly diluted. If you are unsure or don't want to do research, it is always good to use buy a product that contains a humectant. We offer the Florets & Creme as well as the Blooming Moisture Mist. Both are very well incorporated. We do not put too much glycerin into our products so it is fine to use year round. Note: f you are creating a DIY moisturizer or buying one that has a large amount of glycerin in it, you will want lighten up the amount of glycerin being used or discontinue use in the colder months. Winter time glycerin draws moisture out of the hair if it isn't properly diluted. Avoid heavy styling products. Just adds unnecessary weight to the hair and contributes heavily to build up. No bueno. Use water-based moisturizers. They work best for your hair. Some people have problems using water based leave in conditioners with aloe vera juice/gel in it. I haven't had that issue when using those items in other people's hair but if you have then avoid those items. Avoid moisturizing wet hair. Damp hair is ideal for low pooristy hair to being moisturized. It doesn't work very well to moisturize the hair when it is completely dry because the cuticles have laid flat again. Do not use heavy oils. Heavy oils sit on top of the hair, aren't full absorbed beyond the cuticle layer. It defeats the purpose of moisture retention and softening of the hair. Coconut oil, castor oil and olive oil, are the most commonly used heavy carrier oils in hair products. These would be oils to avoid. Use light oils. 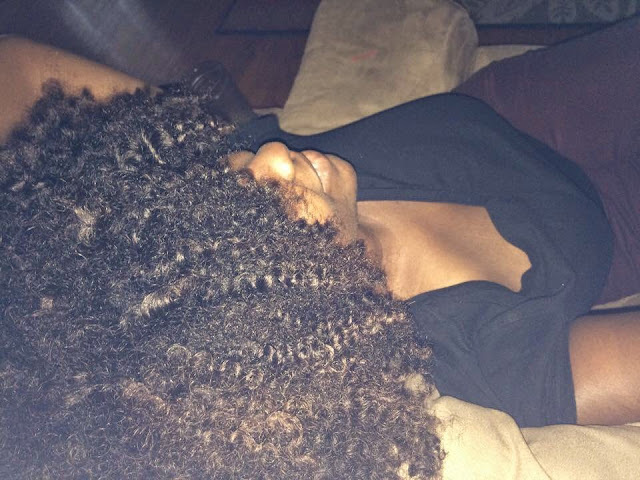 Light weight oils are ideal for low porosity hair. Light weight oils such as apricot kernel oil, argan oil, grapeseed oil and sweet almond oil are ideal. If you like coconut oil but hate the heaviness a much lighter option is fractionated coconut oil. Jojoba oil is a medium weight oil and fine for most low porosity hair.